In the ever-changing soundscape that is heavy metal, we as metal fans find band upon band that is relatively unknown or even obscure. With a genre that is saturated with so many bands, it's hard to listen to all of them or to find bands that break the mold and really stand out. Yet, there are bands out there that are real diamonds in the rough, bands that resonate with us on a very deep level and that really push the envelope as far as creativity and ingenuity is concerned. In this column, Metal Marquee, we will examine bands and artists that fit this example and just give a little synopsis of the band/artist's history and how they have made their mark on the heavy metal world. Our first issue of this new column is Nhor. 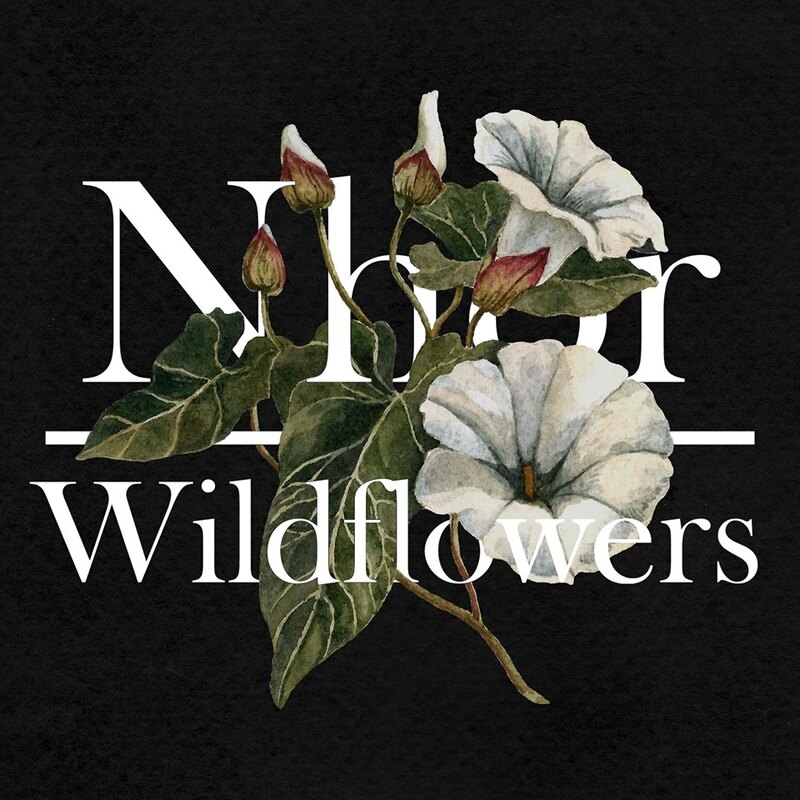 Nhor is an individual artist based out of Herefordshire, England, UK who I had the distinct pleasure of discovering through a mutual metal head who shared 'Wildflowers: Spring', the latest release. Upon hearing the first two songs, I was completely enamored and entranced with the music. I found myself really struggling to locate a whole lot of information on Nhor but will include what I found here as well as some personal thoughts. Nhor is a one-man music project that started back in 2009 with the release of a full-length, self-titled album. 2010 and 2011 saw the release of an EP titled 'Upon Which Was Written Within the Stars', a video release entitled "Theia" and another full length album called 'Whisperers to This Archaic Growth'. This self-titled album and the 'Upon Which' EP have a more ambient folk/classical music feel to them with beautiful pianos and soft, murmuring acoustic guitar work throughout that is interspersed with chanted, haunting vocals. "Two people can listen to the same album and have it resonate differently for each, depending on how it touches each listener." With the release of 'Whisperers' in 2011 and 2013's 'Within the Darkness Between the Starlight', Nhor moved more towards ambient black metal with both of these releases combining a phenomenal mix of beauty and aggression. The incredible piano work is still present and the addition of the black metal vocals and guitar creates this really incredible polarity that pushes and pulls you in several different directions. A box set called 'Towards a Light that Dwells Within the Trees' followed in 2013 and contained the previous four albums together in a really cool set up. The next three releases, 2015's 'Momenta Quintae Essentiae', 2016's EP 'Suspensa Momenta Quintae Essentiae' and 2017's EP 'Wildflowers: Spring' all found Nhor returning to the more classical/ambient sound on these albums. Now, what makes the first four releases even more impressive is the fact that when they were first released Nhor also included an accompanying story that went with each album. These were written specifically for each release. In addition, Nhor also creates the artwork for each release. So with each album, you get a specifically crafted story and artwork done by the artist himself. Not many bands out there do any one of these things, let alone all three. I have not had the pleasure of being able to see the stories that accompany the albums as I came into the game a little late and have digital copies only...but I'm sure the stories are just as magnificent as the music itself. Another interesting facet of Nhor is that each album contains tracks that should not really be considered individual songs but more like individual compositions in a symphony or movements in a concerto if you will. I think the fact that each song acts as its own musical entity makes each album more personalized in a way. Two people can listen to the same album and have it resonate differently for each, depending on how it touches each listener. This approach is unique and even more so given the fact that most of the pieces on Nhor's albums don't contain any vocals. But even the ones that do, have this essence to them that is still palpable and unique to each listener. I don't know that I've ever heard metal like this before in all my years of listening. The ability for each album to speak to its listener differently really sets these releases apart from all the other albums out there - in my opinion. The music is top notch and while it's geared more towards the classical/ambient side, there's still plenty of grit and aggression that comes out through the tones Nhor utilizes to evoke feelings of melancholy, sorrow, anger and wonder. In this day and age, it's refreshing to find an artist like Nhor who records music that resonates not just with the listeners but with him as well. This unique approach creates this open, accessible listening experience that is immersive, thought provoking, and incredibly beautiful. If you consider yourself a fan of music of any sort then listening to Nhor is something you must do. It might not be for everyone but it's definitely something that should be listened to at least once. I for one am very excited to see what Nhor produces in the future and eagerly await the next segment in the 'Wildflowers' arc.
. Low Earth Orbit . U.D.O.